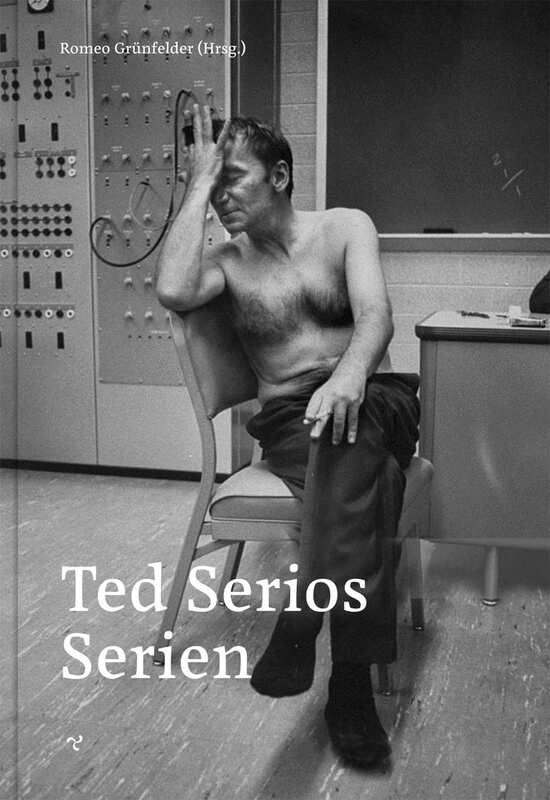 Even though the publishing of this book dates back to 2016 its subject remains timeless: To the present day Ted Serios is still a haunting figure and one of the most enigmatic figures in photographic history due to his mysterious practice of “thoughtography”. Ten years after Serios’ death “Ted Serios: SERIES” edited by German author and film maker Romeo Grünfelder sets out to reconstruct in over 564 pages not only the circumstances and efforts that were made to prove that human thought has not only the power to create images, but furthermore the ability to transfer those images as decipherable to light sensitive photo material. Born in Kansas City, 1918, as Theodore Judd Serious, not many details are known about his life apart from the fact of a minimal school education. We also know that his service in the US Army during the Vietnam War, from which he returned disabled left him to suffer severe ill health and repeated hospitalization. Nevertheless, around the early 1950s Ted Serios worked as a bellhop at the “Chicago Conrad Hilton Hotel” together with his colleague George Johannes who hypnotized Serios in order to spot hidden locations of sunken treasures in the sea. 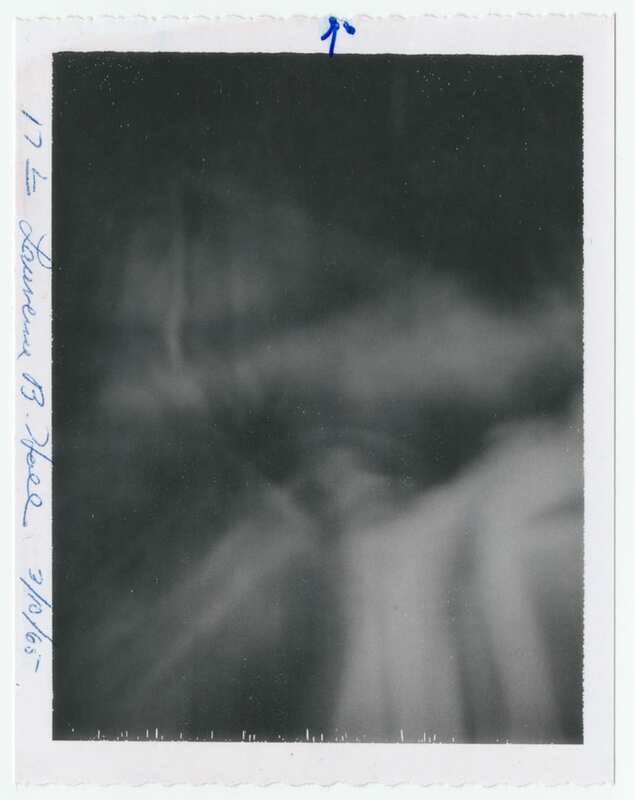 According to Serios, it was because of hypnosis that he discovered his psychic abilities to transfer his thoughts to Polaroid film, which upon public recognition became an issue of scientific interest around 1960. After years with numerous unsuccessful attempts from both, Johannes and Serios, laid scientific claim for the ascribed paranormal phenomenon. 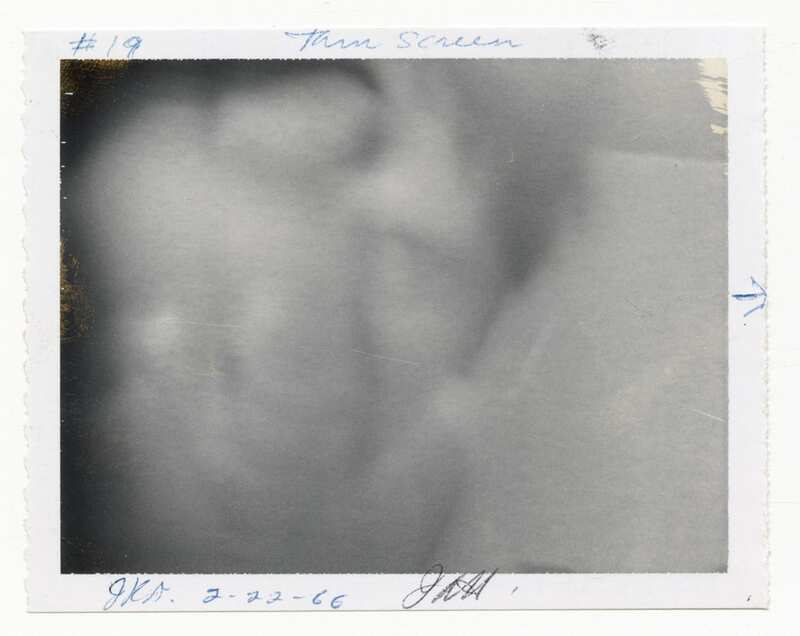 Eventually, in 1963, Pauline Oehler, at that time Vice President of the “Illinois Society for Psychic Research”, published her article “The Psychic Photography of Ted Serios” in the American “Fate Magazine” after she had personally witnessed several demonstrations by Ted Serios of his exceptional technique in “taking” pictures. After, Curtis Fuller the co-founder and publisher of “Fate magazine”, sent a copy of the article to Dr. Jule Eisenbud to elicit interest with the renowned professor in psychiatry at the University Colorado Medical School who was also noted as an honorary member of the American Society for Psychical Research (ASPR) and also the “Parapsychology Foundation”. Fuller received an answer from Eisenbud’s expressing severe doubt and the suspicion of nasty fraud. Finally, Fuller’s persistence with the Serios’ case convinced Eisenbud to meet Serios in person. 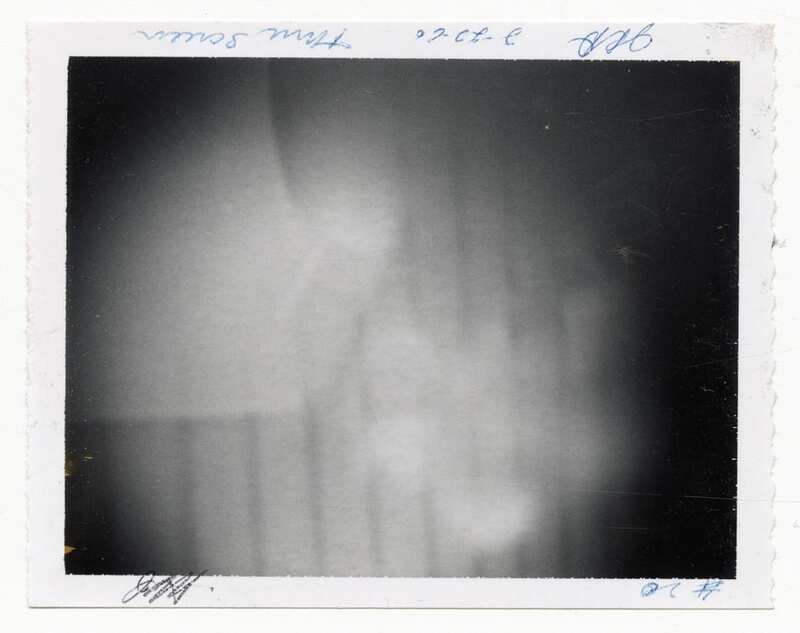 The experience was fortuitous: Between 1964 and 1966 Serios underwent more than a dozen controlled experiments held by Eisenbud in order to prove his ability of “thoughtography” in front of a constantly changing group of witnesses from the area of psychiatry, physics, photography, engineering and other sciences who as a majority signed observer statements asserting that they have witnessed the production of pictures under a condition in which no normal explanations were conceivable. 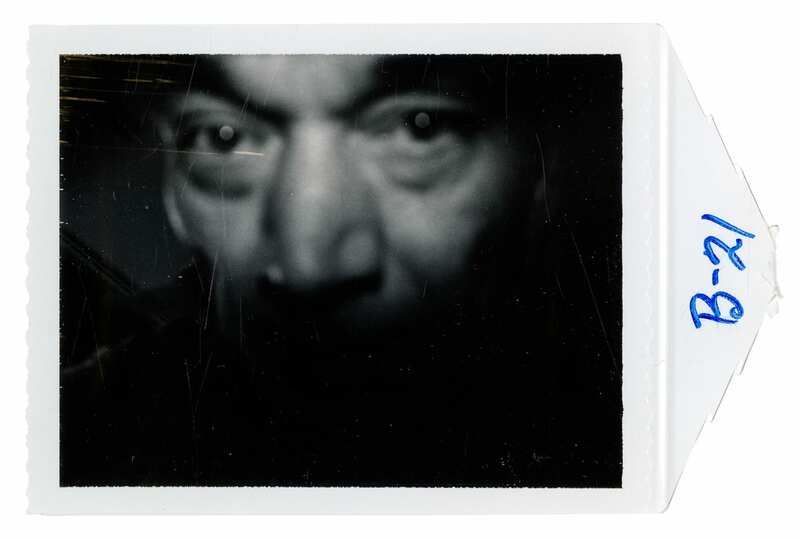 In 1967, Eisenbud summarized the results of his extensive research programme on Serios with a database of over 400 Polaroids in his publication “The World of Ted Serios: Thougtographic Studies of an Extraordinary Mind”. Also in 1967 and even more strangely, Ted Serios’ special ability vanished until his death on December 30, 2016. Questioning the present: What is this book “Ted Serios: SERIES” all about? 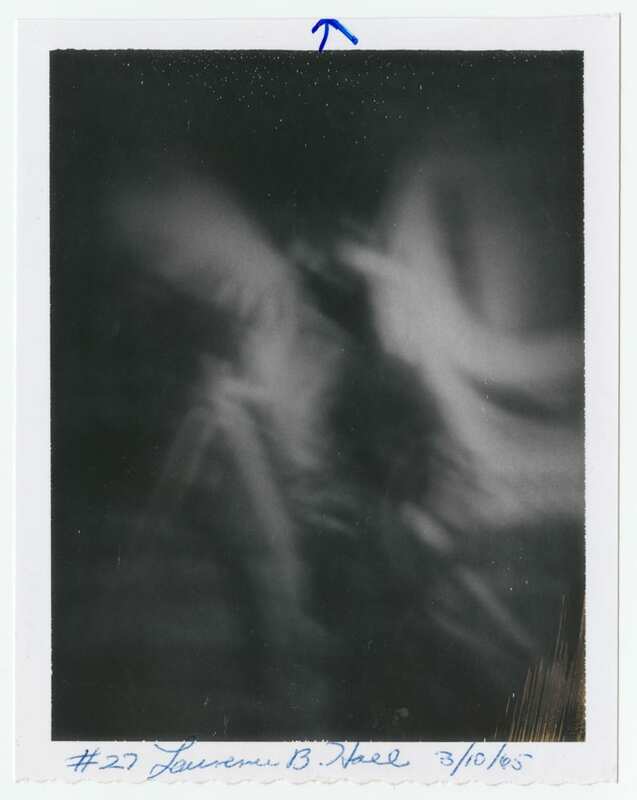 If you want to add one of the most complete and reproduced collections of the paranormal Polaroids taken by Ted Serios to your library, including incorrect exposures of “Whities and “Blackies”, you definitely need to purchase Grünfelder’s publication. Grünfelder’s efforts in initially getting access to the Eisenbud heirs and his estate (which found a home at the “Albin O. Kuhn Library at the University of Maryland”) is applaudable, to say the least. 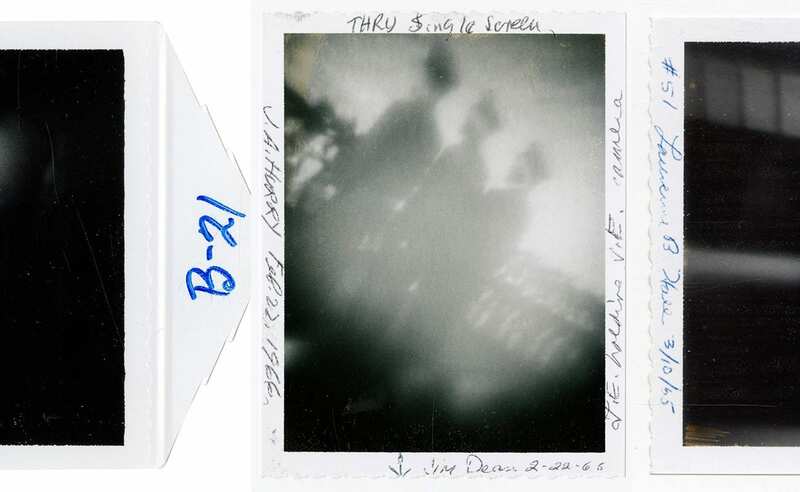 The publishers also assigned the 324 remaining Polaroids from the archive to an order of production within nine experimental sessions, and finally got all the ordered pictures reproduced in pristine quality, which must have been a tremendous amount of work. 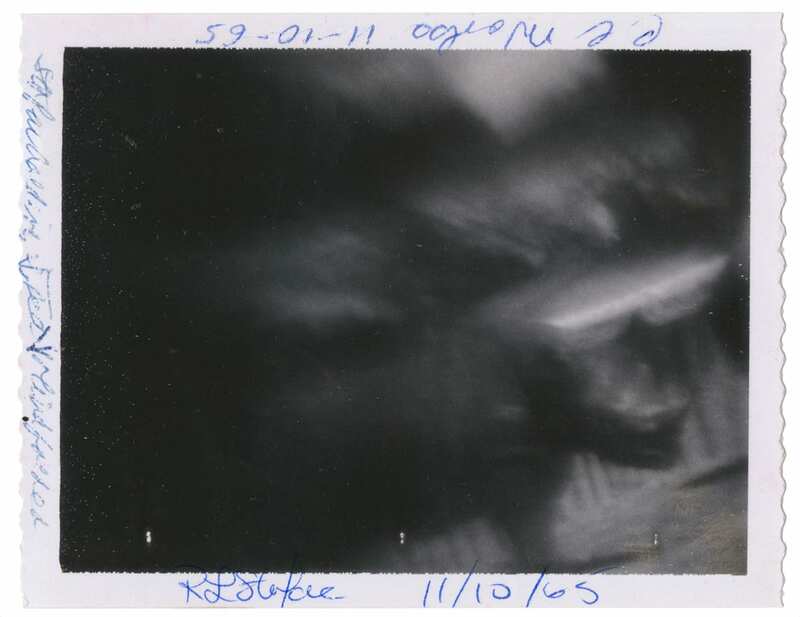 Also, Grünfelder’s dedicated comments to explain the specificities of each of the nine sessions are pretty valuable for the reception and evaluation of these pictures taken under inexplicable nevertheless so far controlled conditions. Inexplicable but nevertheless controlled: Grünfelders’s own contributions to Serios’ practice circles also around the question of fraud that was a constant concomitant brought from several parties inside and outside the scientific community because Serios had used what he himself called a “Gizmo”: a tool, as he said, that would help him to better concentrate on his paranormal work. 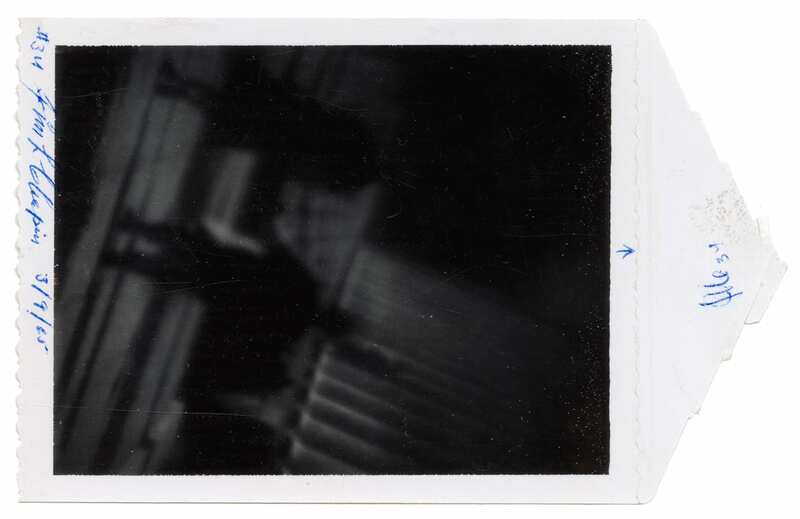 The “Gizmo” was a kind of a cylindrical paper or plastic tube, which Serios or the witnesses always held in front of the lens of the camera, commonly a Polaroid Land camera. 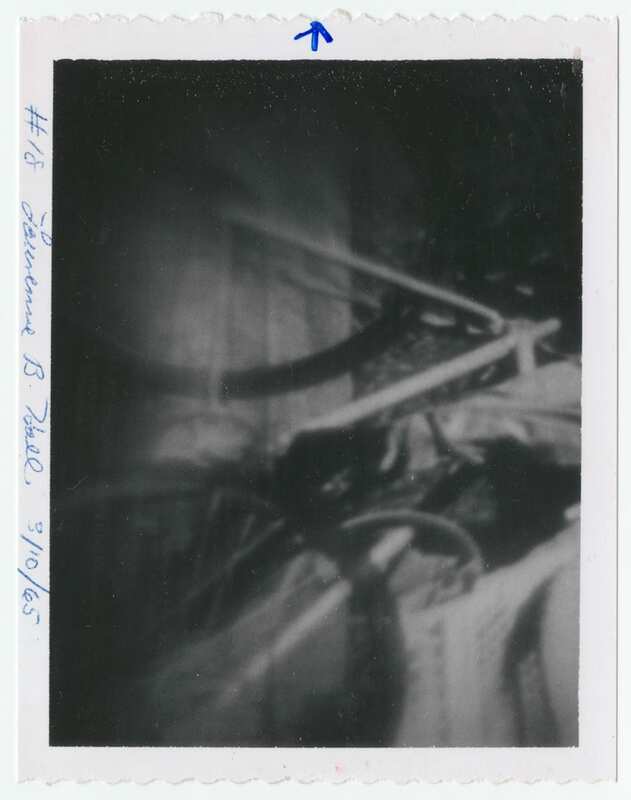 The “Gizmo” was under high suspicion because its simple construction, generally speaking, it could have made it possible to hide a tiny slice of a micro positive inside the tube that would provide the picture reference instead of Serios’ thoughts. Since Serios was regularly confronted with very different so-called ‘target pictures’ right at the beginning of a session needed to fulfil the task of a “thoughtograph”- for instance, motifs related to the Olmec period in Central America 800 to 400 B.C., to an etching of the medieval town of Rothenburg, or to buildings in Central City, Colorado, there had been always some “hits” – or in other words- Polaroids which showed such specific shapes and structures that were to relate to the ‘target picture’ of which Serios, a man with little general education, had no knowledge before the session, it was met with some skeptisism. Grünfelder’s meticulous reconstructions of the sessions that were operated differently from each other gives the impression that that fraud was almost impossible although his argumentation sometimes runs heavily out of scope and makes it hard to follow at some points within the text. Apart from Grünfelder’s vague debate of other’s capricious explanations as well as apart from the considerable numbers of footnotes set in a approx. 6 pt fonts size and as such only readable with a magnifier, the publication highlights some crucial yet unanswered incidents and questions. On the other hand questions arise such as- Why is it argues that thoughts must result in recognizable images of specificity in order to prove abilities beyond the rational? 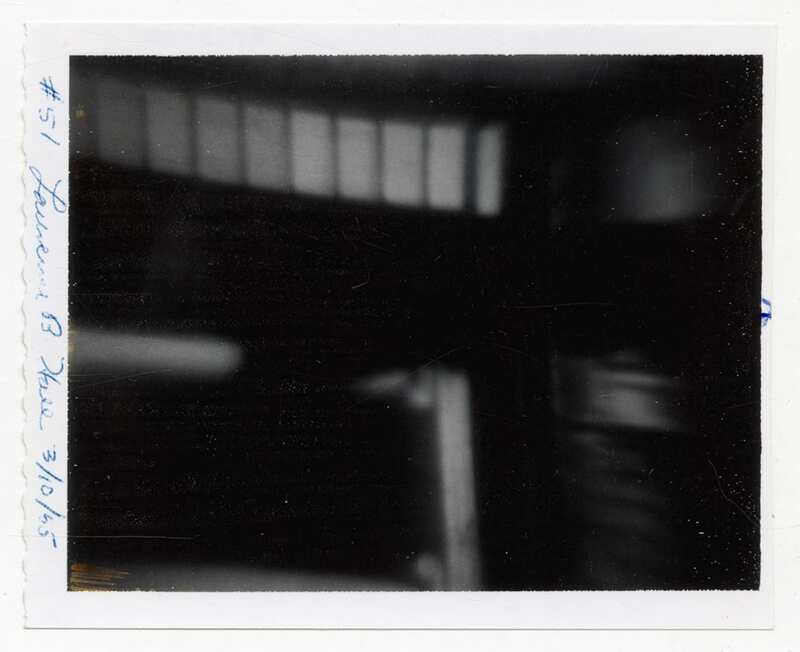 How come some insist on the realism of photography regarding the “iconography of the soul” – a term used by art historian and specialist in photo history and theory Peter Geimer in his contribution “Visibility/Invisibility, critique on a dichotomy” within the book. 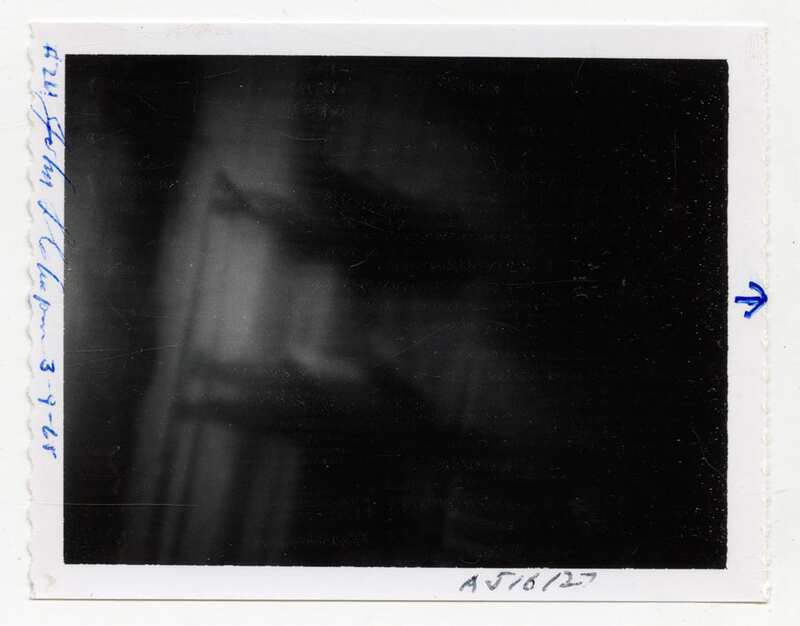 Additionally, Geimer’s essay gives some clear insights in the history of photographic usage of both the arts as well as science, by which the latter is distinguished between photographs of the visible world, as it were the trajectory of bullets, and photographs of the invisible world, for instance, astronomical phenomena. 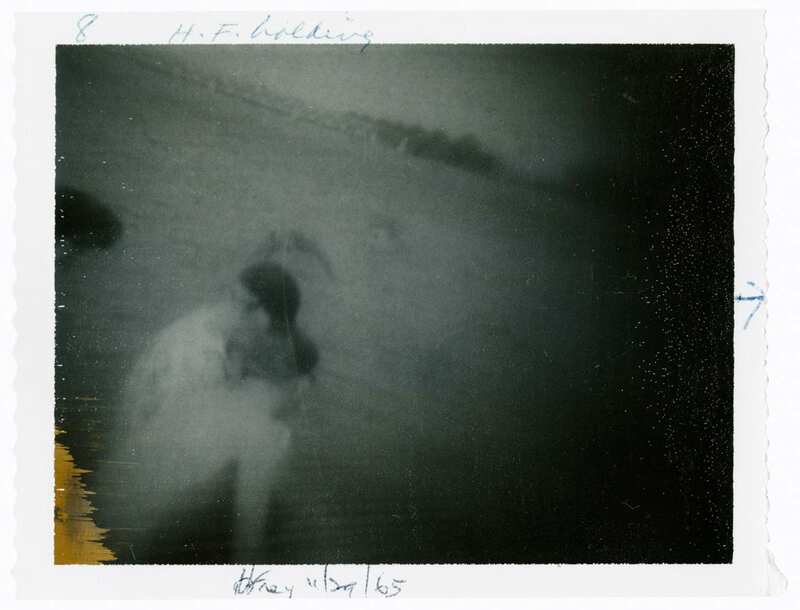 With respect to photographic depictions of the invisible world, it is quite an interesting phenomenon in its own right when coming to terms with the beliefs that photography could provide any sort of objective information of things, which are beyond the visible. 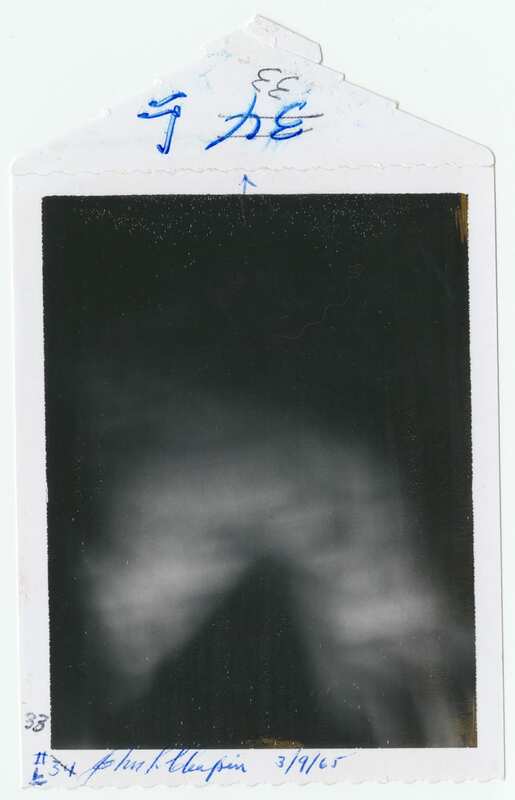 Eventually, we end up here again with the question of evidence by analyzing and qualifying images given by the means of photography. 564 pages with 324 Polaroid facsimiles in total. Image Copyright Information: © 2002 by Jule Eisenbud collection on Ted Serios and thoughtographic photography. Special Collections. Albin O. Kuhn Library & Gallery, University of Maryland, Baltimore County. 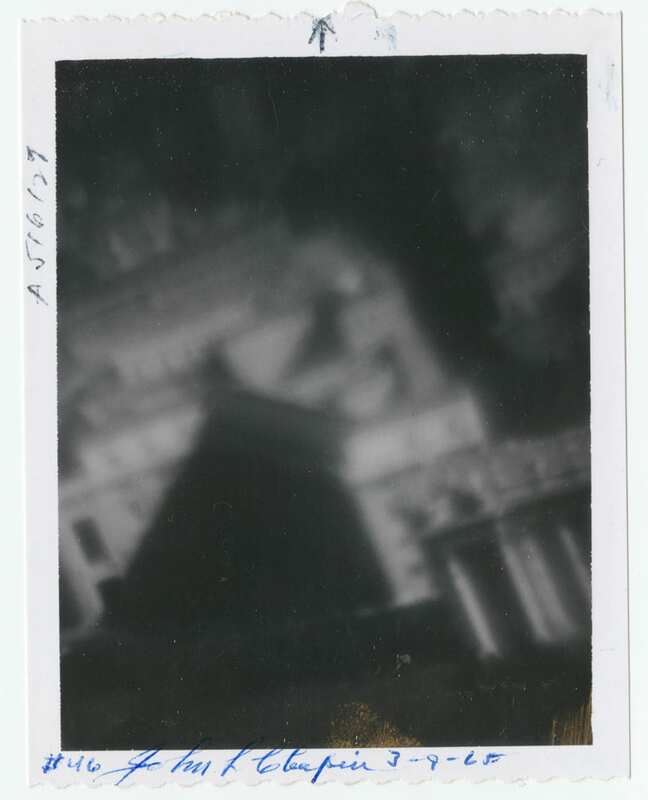 Posted in Essays, Feature and tagged Bernd Stiegler, Claudia Seidel, George Johannes, Jule Eisenbud, Paranormal, Pauline Oehler, Peter Geimer, Philippe Dubois, Polaroid, psychiatry, Romeo Grünfelder, Supernatural, Ted Serios, Textem, Vietnam War.